BrainDead's Aaron Tveit Shines On Stage And Screen From Broadway’s bright lights to D.C.’s big drama, BrainDead’s Aaron Tveit knows how to take center stage. Aaron Tveit starts his career in musicals (Wicked, Next to Normal), then does a TV show based on a book (Gossip Girl), then goes back to Broadway for a musical based on a movie (Catch Me If You Can), then goes back to TV (Graceland), then does a movie based on a musical (Les Misérables), and then combines all of those things into one single project: a movie, for TV, based on a musical (Grease: Live). Oh, and then he lands one of his biggest roles yet, as a hotshot political operative on the new summer drama BrainDead from Robert and Michelle King, whom you may know from a little show called The Good Wife. During a break in shooting season one, we caught up with the 32-year-old triple-threat Tveit (pronounced Tuh-VATE) to talk work, play and what’s weirder: his new show about brain-eating aliens in politics … or what’s actually happening in politics right now. Watch! : So where are we catching you? Aaron Tveit: I just got home to my apartment in Astoria, Queens. Watch! : You’re shooting most of the show in New York? Tveit: Primarily, but we’re going to D.C. a few more times, because you can do a lot of stuff here on a stage, but for a scene with Mary Elizabeth [Winstead] with the Washington Monument in the background, you can’t get that anywhere else! Watch! : How’s it all going so far? Tveit: It’s going great. It’s one of the chillest, no-BS sets I’ve ever been on. I did an episode of The Good Wife years ago, and I just think Robert and Michelle [King] are wonderful storytellers. Even though they’ve had all this success, they’re the nicest people you could ever imagine, and the most approachable as an actor when you have questions about the script. So it’s really been a dream so far. Watch! : What attracted you to playing a guy who works for a Republican senator? Tveit: Much like The Good Wife was able to set that whole story in a very realistic Chicago law firm, they’re setting the story in this West Wing–style D.C. world. So I’m on the Republican side, but a very moderate Republican, and fighting for old-school ideals that don’t necessarily exist today. He’s a guy who believes if you work hard in this country, you can have anything you want. A very Teddy Roosevelt–American Dream Republican. Watch! : Did you watch all the crazy GOP debates to prep for the part? Tveit: No! I mean, I did, but not for this. [Laughs] I’m always aware, politically, and because of this show, I’ve had an extra-careful eye on everything. And even though the entertainment industry is a very liberal industry, I think the show is doing a fair job of not being pro one thing or another. If there’s any political statement, it’s about what happens when these bugs—this other element, these aliens—get to people: They push them to extremism. So the statement is how extremism can be dangerous on either side. Watch! : Does it feel like the show is tapping into the political zeitgeist? Tveit: It does, and our writers have said they can’t satirize what’s happening fast enough. It’s gold for us, because it’s all right in front of us. All we have to do is say, “OK, well they’re doing that, so this doesn’t seem so crazy.” When I tell people the premise of the show—“It’s like West Wing, but with aliens eating politicians’ brains”—everyone says, “Oh, like real life.” Honestly, that’s the answer everyone says! Watch! : Let’s talk about some other stuff you’ve done recently. Did John Travolta Snapchat you after Grease: Live? Tveit: [Laughs] No, I didn’t hear from him! Watch! : What name do people tend to yell at you in airports? 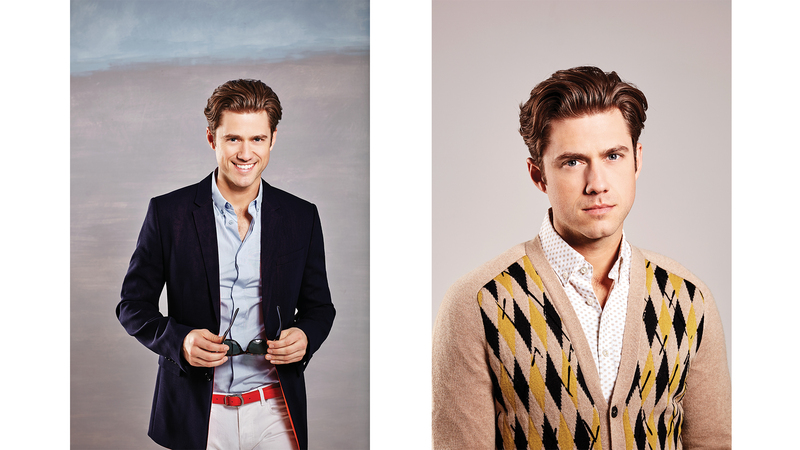 Tveit: You know, to this day, the name that people yell at me is Trip van der Bilt from Gossip Girl. I played kind of an a**hole, and I did not-nice things, and it’s still the thing that five, six, seven years later, people say more than anything else. It blows my mind. Watch! : What do people say? Watch! : Are there times when you still get to feel anonymous? Tveit: Unless you’re Brad Pitt and Angelina Jolie—that level of fame where you can’t get away from it—I feel like you can make choices in your own life that determine whether you want to deal with that stuff. If you want to be private, you can be private. Even though I’ve recently joined social media, there’s nothing about my personal life, and I’m able to keep all that stuff separate. Watch! : Totally. So Aaron, who are you sleeping with? [Laughs] Just kidding. But … the female readers of this magazine may want to know about your dating status in general. Tveit: I’m seeing someone at the moment. A very nice girl, but nothing crazy serious. I’m dating … I guess that’s what the kids say these days! Watch! : Do you have any rules about, say, never dating a co-star? Tveit: I think you gotta stay open, otherwise it might cool you to something. The rule I try to follow is: It takes long enough for you to figure out who you are as a person, and don’t change that for someone else. As much as you may think somebody’s great, you can’t go back on who you are. You know? I’m just trying to be honest. It’s something I wasn’t that good at when I was younger, but the last few years I’ve given it a shot and it works really well. Fancy that! Watch! : What kind of stuff do you do when you’re not working? A lot of golf? Tveit: A lot of golf. I actually just played this morning. I grew up about an hour north of New York City, so I’m able to get out and play with buddies who live up there all the time, which is great. I guess I’m boring: I work out; I play basketball, softball, video games; I read; I hang out with my friends. Watch! : You’ve worked with so many great people that instead of asking about each one, maybe we just do a lightning round where you say the first thing that pops into your head? Tveit: Even more ridiculous! My first day I was ever on a movie set was [Ghost Town]! And literally for 45 minutes—while we were waiting to shoot and then trying to shoot—he was having people do wheelchair races down the hallway. He wouldn’t let us shoot because of the wheelchair races. It was so fun. Tveit: My measuring stick. I just think that in Les Miz, he had a Herculean mountain to climb—and he knew every single person’s name, every member of the crew, every member of the cast, was there with a positive attitude every day, and he treated everyone like they were equals. He’s the nicest person you’ll ever meet in show business. Tveit: I don’t know how to say it in one word! From Day One, for whatever reason, he really wanted to help me out. I had a scene in that movie where my guys captured him and I had to stand in front of freaking Gladiator and have power in that moment! Like, how do I do this? He pulled me aside and we talked about it, and he could not have been more helpful. Tveit: One of the most talented people I’ve ever worked with. She can do anything. Watch! : Looking ahead, what’s your dream project? 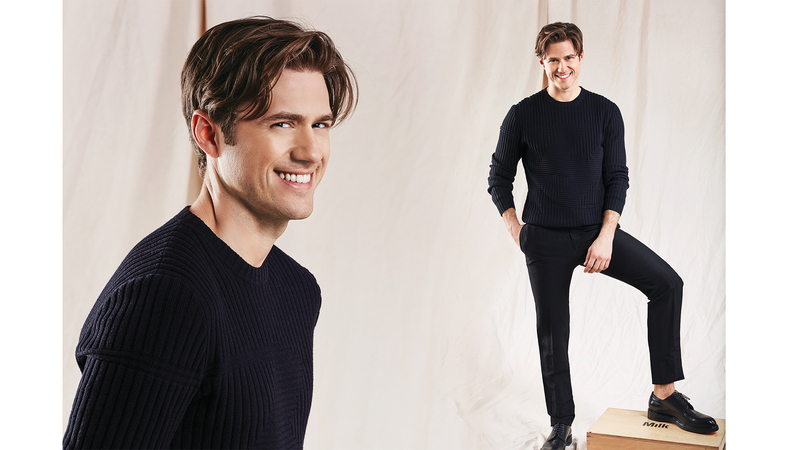 Tveit: If 12 years from now I get asked that question and I’ve just been doing what I’ve been able to do the last 12 years—varied work in different avenues—I’ll be the happiest person you talk to.